CC is always one of the most debated topics on MMO forums and dev’s have tried to fix the problems for years. Trinkets and abilities to get out of CC, diminishing returns and flat-out nerfs have all been tried. Player’s still bitched. People don’t like to lose control of their characters. Period. Now along comes Wildstar and it also has problems with CC. But unlike WoW and Warhammer and so many other games the problems are not because there is too much CC or that CC lasts too long and is too effective but that CC is pretty much useless at later levels. See, for as frustrating as CC is for players, it is needed. Without CC, PvP becomes a simple DPS race devoid of any strategy or tactics. Without CC, the winner would always be determined by who has the most DPS, the best gear or the luckiest crits. There is not strategy involved when CC is taken out of the equation. At low level, CC in Wildstar is balanced pretty well. My healing Spellslinger did fine with one or two guys beating on him. However, if they timed the knock down or stun correctly, I would get in trouble fast. Sure it was frustrating to be knocked down or stunned and watch my health start to drop but it was a needed mechanic and it was fair. It made me think ahead so I could prepare for the inevitable CC and counter. The problem with Wildstar CC comes at higher levels. There is simply too many ways to get out of it or reduce its effectiveness. If you spec into it you can get a 30% CC reduction all the time. A 3 second knock down becomes 30% less effective right off the bat. Interrupt Armor. This is a new mechanic in Wildstar. Basically having one interrupt armor means that you have to be CC’d twice for one to land. Each CC reduces your armor by one and CC does not land until your armor is 0. Each class has abilities that will generate Interrupt Armor, so do some gadgets and consumables. Multiple CC breaks. This is just like the PvP trinket in WoW. Use it and break CC immediately. Every class has one of these and most are on fairly short cooldowns. In addition, there are multiple gadgets that have a CC break. Diminishing Returns. Just like WoW. Once you get hit with CC it activates a hidden cooldown of ten seconds and you can not be hit with that type of CC again during its duration. Get hit by a stun, you can’t be stunned again for 10 seconds. Breakout Mechanics. When you are hit with CC, you can breakout early. When you are hit by a stun, you can fast tap a movement key to break the stun. Faster you tap, the quicker you get out. Get rooted by a tether and you can DPS down the tether to get out early. All of these combine to make CC useless at higher levels in Wildstar. If someone gets past your interrupt armor, you aren’t on diminishing returns and your CC break is on cooldown, then you are CC’d but the length is 30% less because of your Spec and then further reduced because of the breakout mechanics. In short, it is absolutely useless and it totally ruins PvP at higher levels. At high levels, Wildstar PvP is just a DPS race. 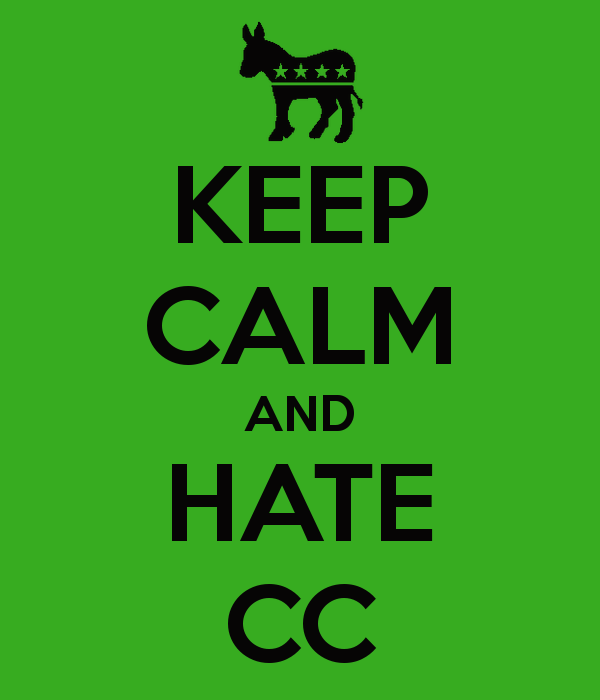 There is almost no strategy to it without CC. I completely understand how frustrating CC can be but this needs to be fixed and it needs to be fixed quickly. 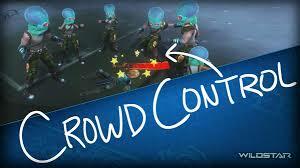 Arenas will be a total cluster without effective CC. So will battlegrounds. No strategy. No tactics. And, ultimately, no fun. ← Wildstar: Are they missing the point?